ATG entertainment was on location at the Renaissance Charlotte SouthPark Hotel for Delbert and Brandi’s wedding ceremony and reception. 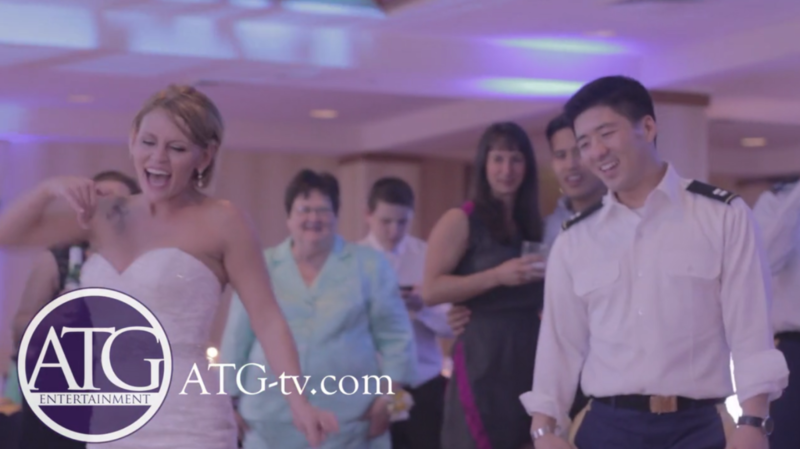 ATG is a Wedding Production Company that can provide DJs, MCs, Light Design, Multi Media Packages, as well as Photo Booths. The Renaissance SouthPark Hotel is a fantastic place to host your wedding and is a great venue to take advantage of all that ATG can provide. The Renaissance staff is always a pleasure to work with, and did a fantastic job at making this a very special evening. Once the wedding was underway Jim and his team at ATG handled the coordination of the timeline and kept everything flowing smoothly. Once it was time to dance, Delbert, Brandi , and all the guest were definitely ready for a great time. Delbert and Brandi had ATG provide music, mics, and sound for their ceremony. Once it was time for the reception they not only used one of ATG’s DJ & MCs but they also took advantage of the lightng design services. They had ATG create a nice vibe for the evening by accenting the walls with their wedding color. Once dancing started the colors began to change and go with the music. They also used ATG’s Spot Lighting option. 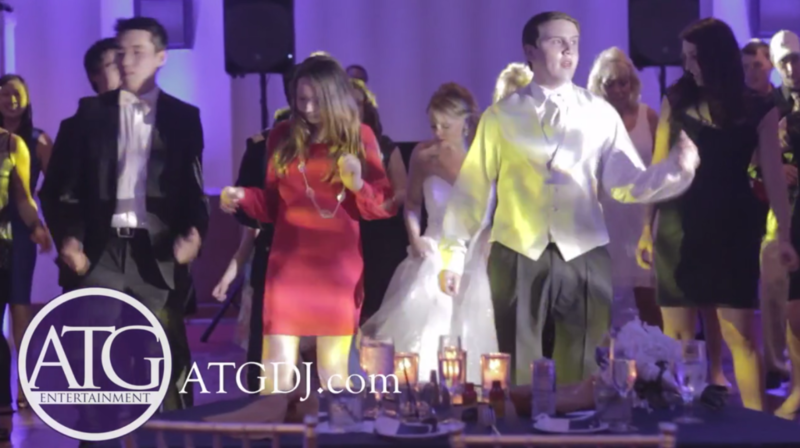 ATG’s spot lighting package give bride and grooms the ability to focus attention on all the formalities such as Grand Entrance, First Dance, Parent Dances, Toast, Cake, Etc. This was a very special evening and event. Congrats to Delbert and Brandi!! !